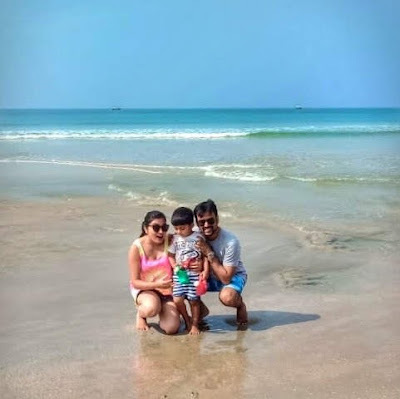 What intrigued me about the Novotel Goa Shrem Hotel, was it’s social media hashtag #goaforkids , and being one of the few mom travel bloggers from Goa, I needed to find out more. And so we headed to Novotel to spend a child friendly weekend staycation. 1. 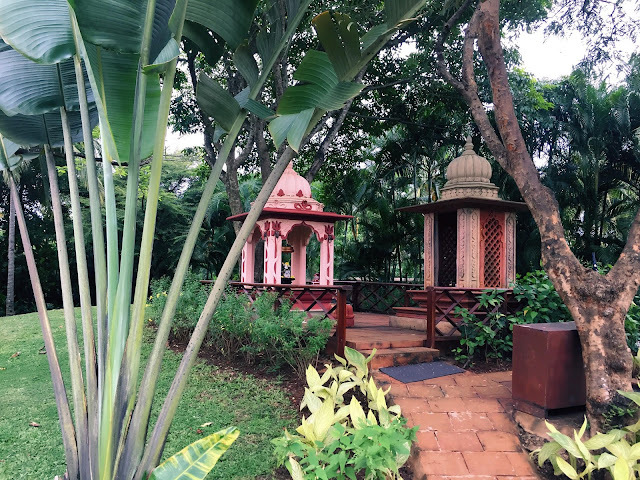 It is two hotels for the price of one, the Novotel Goa shrem (also known as the Novotel hotel by the staff) and the Novotel Resort (also known as the Novotel resort by the staff) are just a km away from each other. 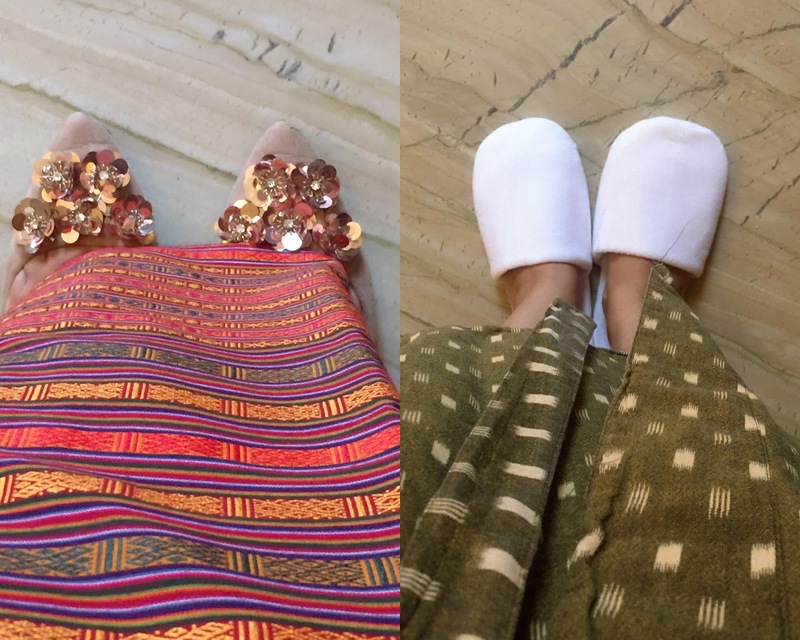 And while we mistook one for the other, and it can be confusing especially at check in or even booking your rooms online (yes, makemytrip has two separate Novotel properties listed in the same geographical area. ), it works out great for the stay. You get to choose from double the number of restaurants as well, as the easy shuttle between the hotel and resort allows you to swim in two pools, and even use the play gym and other facilities. 2. Both properties are in the lively North Goa, with plenty of restaurant and shopping options, and while both properties are not situated on the beach, free shuttles are available, to and from the Candolim beach. Now why do they say they are great for kids , to find out read on. So we decided to check into the hotel at around 12, so as to time our two year old’s lunch and sleep time, but things did not go as planned (when do they ever, especially while travelling with toddlers!) . Hmphh.. I wasn’t sure we were off to a great start, but our welcome to the hotel was worth it. We were staying at Novotel Goa Shrem, and Resha, Zizele and Cyrus were all there to welcome us. Resha had thoughtfully framed a picture of us three and it rested on a stand in our room, along with tons of edible goodies for baby and mama. (dad’s on a diet you see) Zizele was sweet enough to get a family pic. It’s so difficult to get those when one is travelling, one of us is always behind the lens, and we were grateful for the pictures which will remain as cherished memories of our stay. Cyrus then took us on a tour of the Hotel, they have four classes of rooms. The suite is nice, but as it is a duplex, the chances of Shreyu following his nursery rhyme Humpty dumpty was a high possibility , we opted for the luxury room. Room 1404 has the best view, in the hotel, so if you can, book that room. 1. The electric sockets all have guards on them. 2. The balcony railings are narrow enough to prevent him from squeezing out. 4. The bed was immensely jumpable, no sharp corners. That evening we spent time at the Novotel Hotel play area, and Shreysht was happy to be left alone with the attending aunty, as he painted. I got pictures of him as he played inside and I waited outside like an over protective mom. Happy to see him occupied , and this for a child who has never been left around strangers and hasn’t even started to go to play school yet, was an exceptional relief. In that time, I managed to go Zorbing, AND my husband managed to take pictures of me. None of it would have been possible if the little one decided to plunge in the pool. After my zorbing session, which was at an affordable 250 Rs , we settled into the kiddie pool at Novotel. you can see the reflection of the pool outside, i took this pic from outside the play area, see how engrossed kifddo is, only mom is having separation anxiety. Dinner was at the fancy vero cibo, Mediterranean restaurant at Novotel Resort, and we rode there in the shuttle. It was also a rare occasion when I wore heels, and as a mom, if you are reading this, you can understand the euphoria. 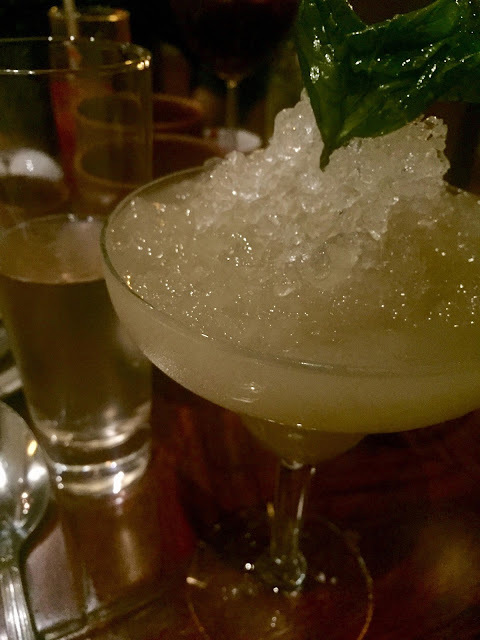 The dimly lit restaurant and the gorgeous interiors were a touch of fancy, and we loved it. They serve a set menu of salad, small plates, and big plates, followed by desserts. We had the watermelon salad, the sea food fritters, the mushroom fritters, and for main course a sea food paella, and pork spare ribs in BBQ sauce. For dessert there was Chocolate mousse sevred under a tempered chocolate dome, and tiramisu. yup we forgot to carry his sippy cup, again! Breakfast next morning was equally indulgent with , wait for it, donut making stations! Yes, add custard or chocolate and nuts and sprinkles, and if you want, chocolate chips and marshmallows as well! The place was like willy wonkas, because kids were going absolute bonkers with towers of whipped cream and puddles of chocolate sauce. I wish I could have taken pictures of all the kids at the restaurant, but I didn’t want to infringe on their privacy. Shreyu had his first bite of Donuts as well, and after mulling over the taste, decided it was just like Jalebi. He continued to pronounce donuts as jalebis. 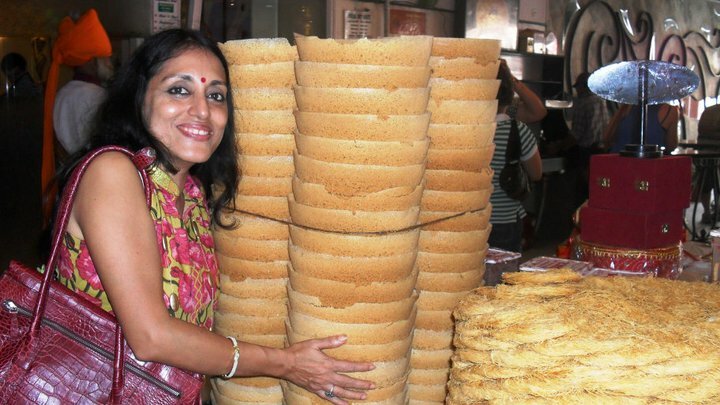 He also enjoyed his very own Dosa, which he likes to call big chips as well as fluffy idlis. I on the other hand indulged in noodles for breakfast. 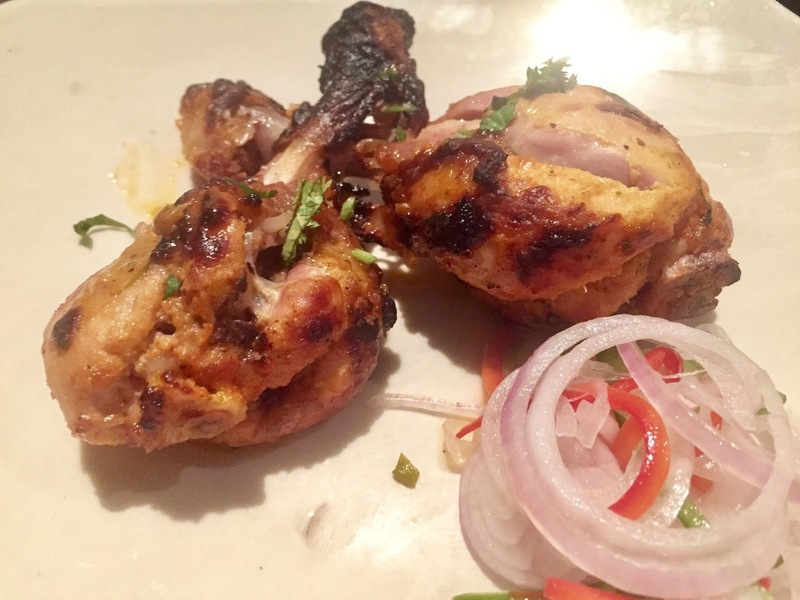 I absolutely love south east Asian cuisine, and the square at Novotel served it to my hearts desire. Not only did I have noodles for breakfast, but Laksa for lunch, and dimsums as well. they have a khousuey station for lunch as well. It was the ultimate indulgence. We spent the rest of the morning cycling, playing at the larger play area at the Novotel resort , and playing interactive games on a touch pad. The touch interactive electronic interface was very fascinating. Kids these days love their ipads and tablets and phones, so what better way to interact with them in the same format. The games on the console are for 2-6 , 6-12, 12-16 and above 16 year old. We chose 2-6 and there were match the shapes and bump the balloons as well as colouring pages. All the games can be played by more than one player, thus the entire family can join in! it was a fab experience, very innovative. Novotel has a cool theme of , play and pause, meaning there are ample activities to play ‘like cycles, and water sports, and carnival games…’ and bring a relaxing pause to life ‘ spa, lounging by the swimmimng pool, lazing in the room, or sitting on the balcony, walk on the beach..’ to say we played more and paused less would be accurate. As a working mom, being able to spend happy times, and create happy memories as a family , is important to me. Getting away from every day strife of making beds, doing dishes or even planning meals for the family is an indulgence that has become a necessity to recharge. This month happens to be my birthday month , and I have pledged to build my business, body and blog. My own private practice as an ophthalmic surgeon, to lose weight and regain my pre natal fitness level, and to reduce my Alexa number on my blog. my current Alexa as of today is 13132373. and I am taking part in the blogchatter campaign called #myfriendalexa. 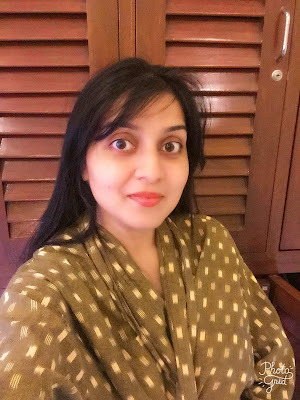 It was the end of a hectic week and the weekend prior to what would prove to be an extremely challenging week ahead, and I was thankful to the Park Hyatt Goa for their therapeutic hot stone massage at their award winning spa. It was the first time that I was getting a Hot stone massage and the experience was totally unlike what I had expected, and thus, even more the reason to blog about it. Let’s start with what I expected. Well from all the pictures of Hot stone massages, and rudimentary descriptions online, it seems like hot volcanic stones will be placed over parts of your body and somehow they will do their work, what I wasn’t expecting however was the long sinewy deep tissue massage which is accompanied using these stones for 90 minutes. the volcanic stones help keep retain heat within them, and at a temperature of around 60 degrees they are supposed to provide a controlled healing warmth to your body. The experience like any true Spa-tastic experience starts on entering the spa. Situated in the sprawling Park Hyatt, the Sereno spa is an oasis in itself, surrounded by meandering water bodies, which are sprinkled all over the property, the Sereno spa is truly a serene location. I was welcomed by the hostess, and signed off a waiver along with some questions about y general health and ailments. I was then escorted to the changing room, where each one is thoughtfully handed keys to a locker, and even though there is no individual changing rooms, complete privacy is provided in the singular room, or you can opt to change in the wash rooms. The changing rooms have attached sauna and steam rooms, but since I was having the hot stone massage, it is recommended to have the steam afterwards. As a routine, I prefer to have a steam prior to massages, because they open the pores and also warm the muscles for deeper effect of the aroma oils and tactile manoeuvres. Zoremi, my masseuse from Mizoram was extremely knowledgable about the treatment, and also had a deft hand at massages, and I would highly recommend her. Now getting back to the massage itself. As I mentioned earlier, I was expecting only the placemenrt of hot stones on parts of my body, and I wondered how I would lie still for so long, but my worries were unfounded. A hot stone massage is very much like a regular deep tissue massage using aroma oils. If you have ever had any sort of deep tissue massage, well this is like the same except, instead of just the masseuse using just their hands to knead your aching muscles, in a hot stone massage, the masseuse hold hot stones in their hands and allow the heat from them to accentuate the effects of the kneading. Another niggling worry I had was about the heat from the stones but it was at a comfortable temperature and since the stones are not kept for long over apart of the body, but rather rubbed over the skin, you don’t feel the entire wrath of the temperature. 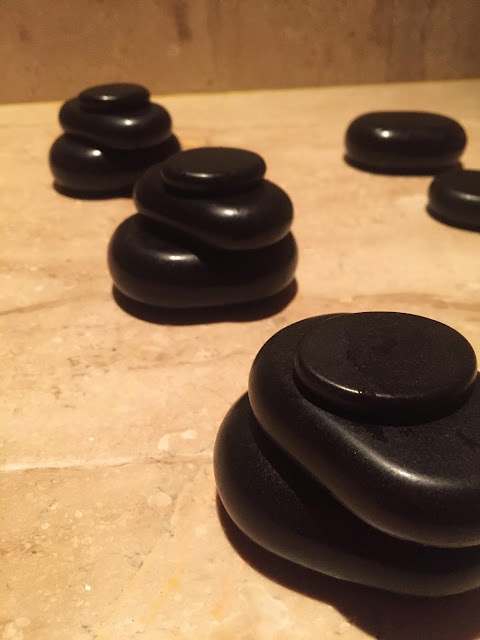 The third concern for me was the friction of said stone over the bosy, but these stones are smooth and combined with the use of oils with the massage, it felt like someone was using a warm bar of soap over my skin. 1.helps relieve muscle tension and pain: the warmth of the stones helps relieve tense muscles, and enhances the effect of the kneading deep tissue massage. 2.Reduce stress and anxiety: Have you ever had a rough day and felt better after a warm bath? Now imagine a warm massage. Yes, it sounds good, it is as good as it sounds. 3.Promotes sleep: again, great massage promotes sleep, a warm blanket or a warm bath promotes sleep, a warm massage using hot stones, is bound to help induce sleep. 4.help reduce symptoms from auto immune diseases and cancer : now for these benefits to show, one needs regular massages, but it is a well known fact that touch reduces pain. Ever had a pin prick or an injection, and have the nurse rigorously rub the area, or have your head pressed for a case of headache? Basically touch sensory fibers, help negate stimulation of pain sensory fibers, and if done for regular periods of time,levels of substance P known for causing pain can reduce in the body. 5. reduce blood pressure and water retention: lymphatic drainage improves with regular deep tissue massages, infact the amount of pressure required to do hot stone massages is lesser than regular massages, and that is because the warmth of the stone makes the muscle more pliant and supple, thus requiring less pressure. A word of caution if you are on blood thinners, have a bleeding disorder, have open wounds, sores since heat and pressure can lead to bruises, or vessel engorgement over the skin. Having read this I am sure you are sold on the idea of Hot stone massages, I know I am, infact my shoulder had more knots than the hair of a Sadhu in Banaras, and Zoremi’s insistent kneading and the hot stones did for my back and shoulder, what a hair spa with deep conditioning would do for the Sadhu’s hair. And if you are wondering if you can cook something with Hot lava stones , well you can read about a cool restaurant in Panjim which does just that HERE. Goa may be the smallest state of India , but in terms of diversity it is HUGE. 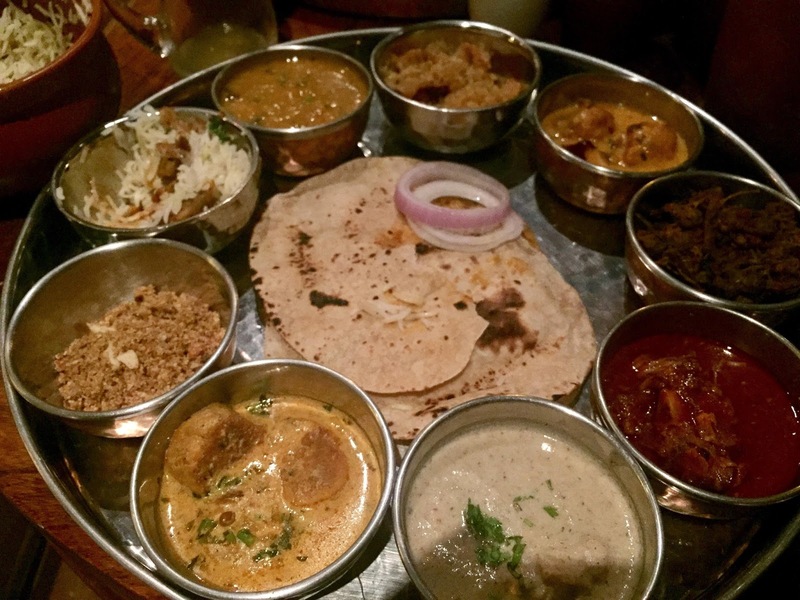 Goa has always been facinating to the tourist and traveller; for a long time people have used the word 'Goanese' not knowing how else to address a Goan, and then what do the Goans eat? 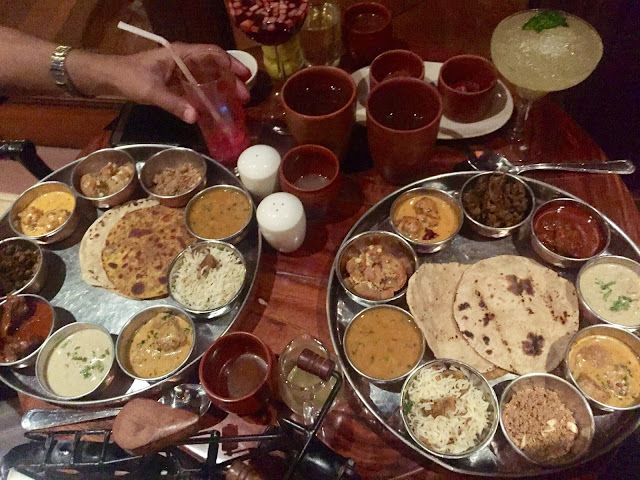 surely Goanese food. and what about the Langusge they speak? must be Goanese. Guess what guys, Goa is not China, where the people , language, and food , all are Chinese. Surprise! there is nothing called Goanese, the people are Goans, they speak Konkani, and they eat just about anything that is tasty, but have distinctive konkan hindu and catholic dishes. 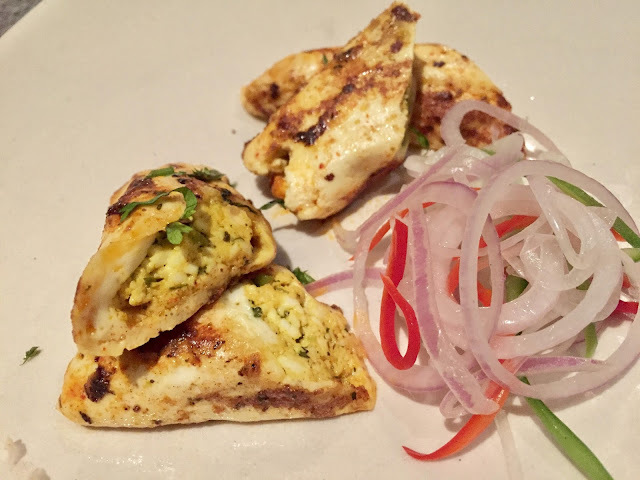 As the tag line of my blog says that this blog is where I try and understand a place through the food, and the people (who love, eat, cook, and share this food), and one of the new best ways to get to know a place is through it's bloggers. From the young college going fashion bloggers, to the more experienced world travellers, to those who have lived their entire life in Goa, to those who are originally Goan but now live in different cities, and even those who have made Goa their home only in recent years, this blog celebrates the diversity of Goa and Goan Bloggers. 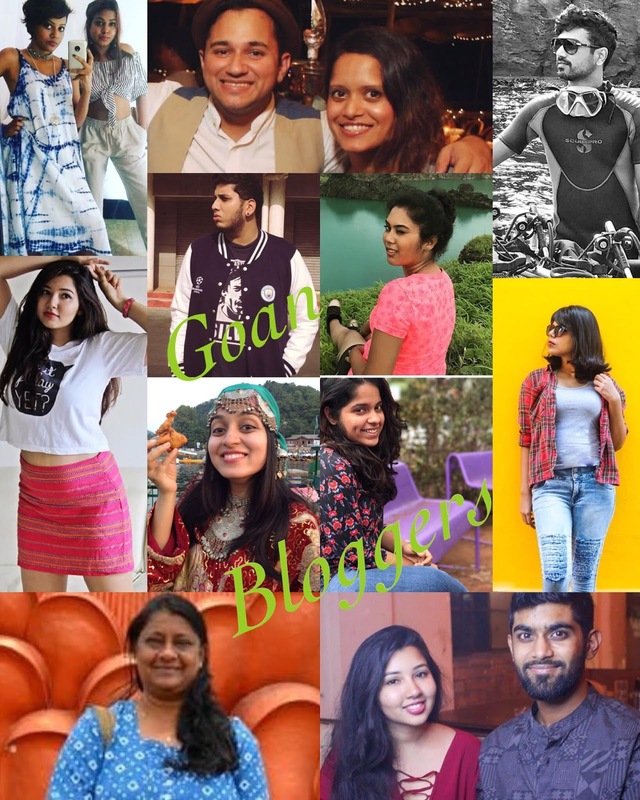 I have chosen key posts from each of these bloggers to highlight the best and most diverse of the blogs to give you a sneak peak into the mind of a Goan. It is part of my series called "Being Goanese". Anuradha Goyal is a travelling nomad who has decided to call Goa her home and happy place, and when she is not travelling around the globe it is interesting to get an outside-in view of Goa. Whether it is the mud festival of chikal kalo HERE or the saraswat temple trail of Goa HERE she has you covered. 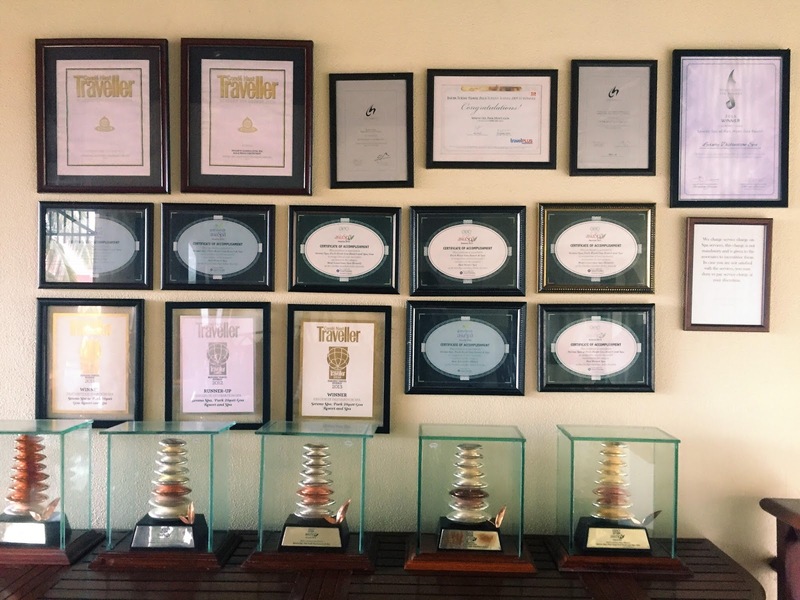 I hope you had fun reading the blog and visiting the sites of the other Goan bloggers as well. 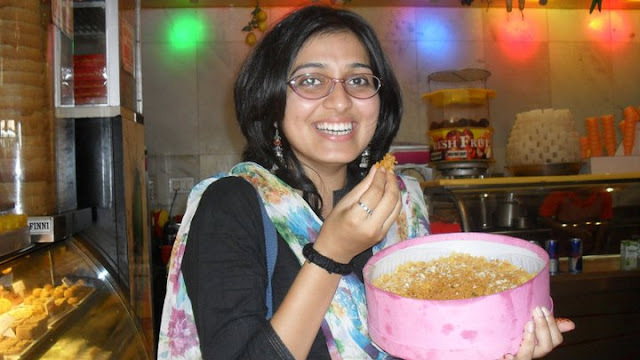 I know the list seems a bit skewed towards food bloggers, but Hey it is called the foodie-trails, also I am on the look out for environmental and political blogs from goa, and will keep you guys updated.